Outsourcing your contract manufacturing to ReAgent gives you freedom and security to expand your business whilst benefiting from industry leading expertise, service, and guaranteed levels of quality. When you decide to outsource your manufacturing to another company, you need someone who has wide experience handling chemicals and equipment to make your plans a reality. Reagent provides flexible contract manufacturing services that fit around your specific requirements. In the game since 1977, ReAgent are one of the leading chemical manufacturers in the UK. Our 40 years of experience in the manufacture and delivery of bespoke substances allow us to not only give you expert advice, but to also give you full control over the development of your product from day one. As well as being private suppliers of chemicals and raw materials, our expert team is also on-hand to help and advise you on costs and legal obligations. We also provide up-to-date reports on the progress of your product. Working with a manufacturer who you can trust gives you the time to focus on other aspects of your business, putting you in the best position to grow and success. At ReAgent, our skilled team and specialist equipment are able to handle any substance you require, be it a liquid, powder, gel or cream. 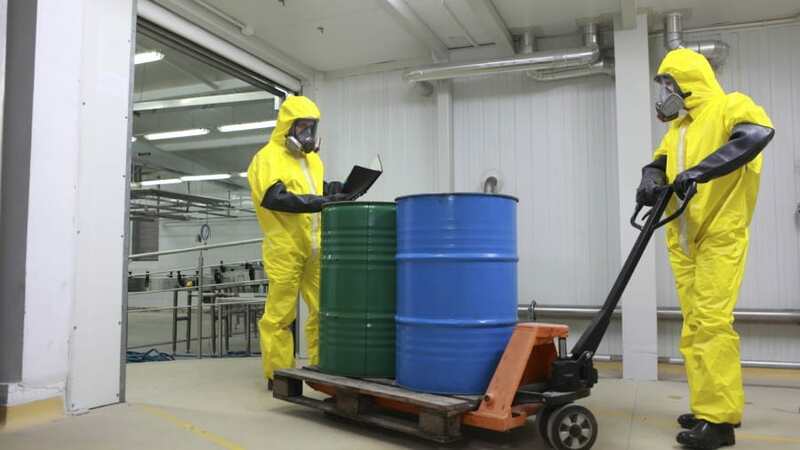 As well as this, we have access to a huge amount of raw materials, and our dedicated purchasing team are in the know about a wide range of chemicals. To us at ReAgent, no batch is too small. We create solutions for a range of clients, from cosmetics to pharmaceuticals, providing production runs from as little as one unit upwards to meet the needs of your business. As one of the leading contract manufacturing companies, no size is too big to small for us. Whether we’re manufacturing a single ampoule, or a bulk size shipping container full of 1,000L IBCs, our acute attention to detail and ISO 9001 certified quality management system will ensure your product meets even the most stringent of standards. When you choose ReAgent to take care of your manufacturing needs, we understand that your ideas and your products always belong to you. That is why we routinely enter into non-disclosure contracts with customers to protect their ideas, processes, and products. As part of our contract manufacturing services, we take pride in supplying first class customer service before, during, and after your transaction. We’re just as happy to talk over the phone as we are in person, whether that be at our Cheshire-based facility or at your own premises. ReAgent has always been a family business and the traditional values, expert knowledge and extensive experience we’ve gained since our foundation in 1977 has been passed down 3 generations. We also offer custom labelling, packaging and shipping as well as full traceability on all batches and consignments.